Do you keep a journal, a place where you can record your thoughts about, well, anything? Travel, gratitude, observations. Family, love, motherhood, fatherhood memoir. Job or career, school, relationships, story ideas. The topics are endless. I bought this journal in a local market. You may jot down an observation, a word you like, a thought, a saying, a name of someone or something you admire. A poem. These items can trigger new thoughts and ideas. You may paste in mementos, make drawings, add a photo, add borders and/or background colors to the pages. I have friends whose journals are almost works of art in themselves with streamers, buttons, and baubles dangling from them, with drawings and watercolor pictures inside to accompany their writings. During a stressful period a few years back, I kept a “WTF Now?” journal. I had moved into a new townhouse besieged by poor workmanship and faulty design that didn’t manifest until the first rain. Leaking roof and leaking windows big time. Within the journal pages, I vented. And vented. Obviously, journal writing can be very therapeutic. Journal made from a file folder. Recently, I took a journal-making class taught by artist Vicki Scudamore. In it, we took a colorful file folder (mine had the Eiffel Tower on it), trimmed a few inches of it here and there, and attached five folded white sheets inside by stitching them onto the folder’s spine. Voila. A ten page journal. The band around the center securing it is called a belly band. The new journal now waits for words on its blank pages. 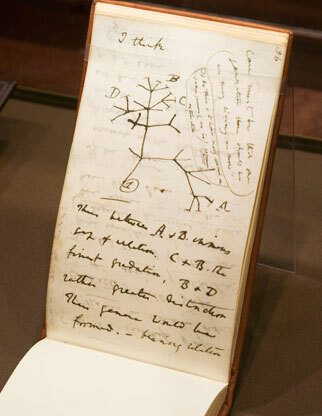 Darwin speculated on the origin of the species, drawing his first evolutionary tree. One journal I use quite often is a small bright-yellow spiral notebook I call “Notes on Writing.” In it I record ideas and discoveries about writing in general – or about a particular piece I’m working on – or ideas for something I’d like to write in the future. And I find writing in a journal is a great way to write regularly. Whatever your motivation – to explore, list, create, record, experiment – keeping a journal is a satisfying – and useful – endeavor. However you do it, here’s to the journaling habit. This entry was posted in Creativity, fiction writing, Inspiration, memoir, poetry, short story, Writing and tagged journal, keeping a journal, recording ideas, writing journal. Bookmark the permalink. Loved your post on journaling Carol! Thanks for the shout out for my journaling class, it was so much fun. The link to famous journal keepers is fascinating, thanks. 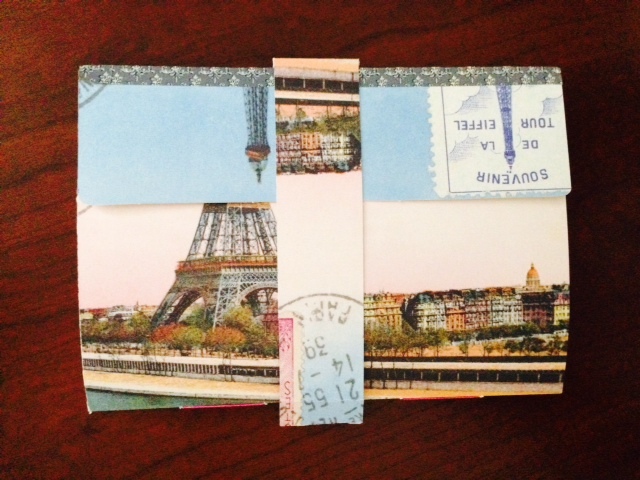 Hi Vicki – Thank you for the reblog of this post and for the great class on journal making. I look forward to the art project you will bring us next. My post “A Cup of Creativity Tea” from May 15, 2012 – about the art of the Zentangle – was also inspired by one of your classes. And, readers, for more creative art projects, visit Vicki’s blog http://craftyladytoo.blogspot.com. 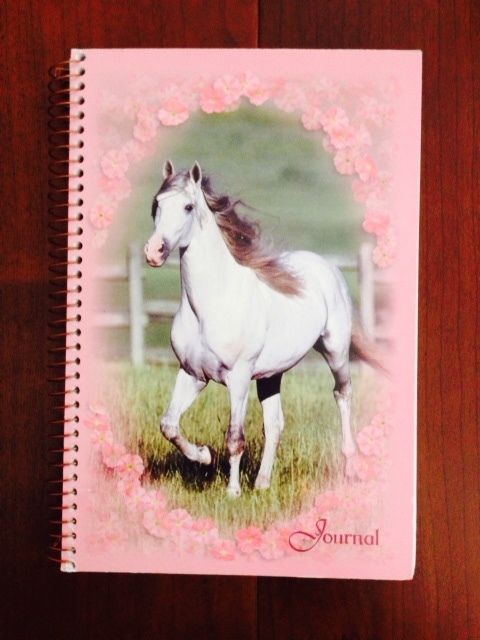 Hi Carol – What a grand idea for a journal. I know Bree will treasure it!